Winter in Yellowstone means fewer crowds, frigid temperatures, and steaming geyser basins. Skis, snowshoes, snowcoaches, and snowmobiles become the primary modes of transportation as roads close, rivers and lakes freeze, and snowstorms transform the park into a winter wonderland. Prepare yourself with necessary items like warm gloves and warms socks. Keeping your hands and feet warm in this winter wonderland will make your visit more enjoyable. Most stores, restaurants, campgrounds, and lodges are closed during winter. Two lodges remain open, as do a few visitor centers. We also maintain a series of warming huts throughout the park (see below for hours and dates). Ranger-led programs are offered at Old Faithful and Mammoth Hot Springs. 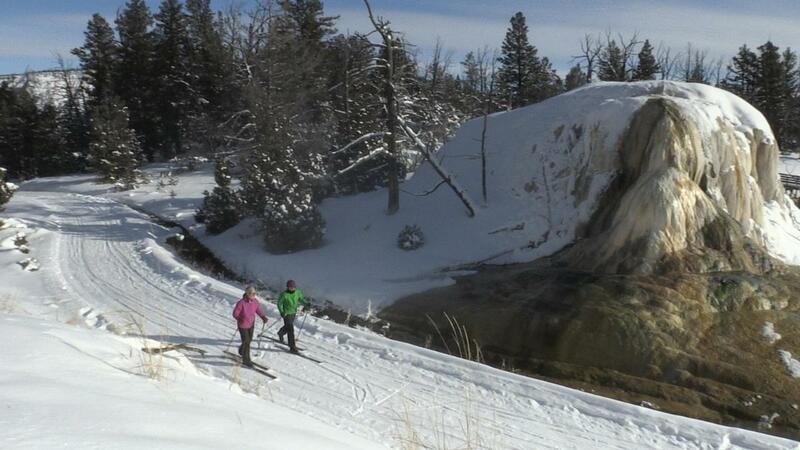 Park partners and other businesses offer a variety of guided activities and trips during winter.